On April 26, 2002, Attorney Don Wolff and his wife, Heide, donated a $1 million jazz record collection to Harris-Stowe State University, thus founding the Don and Heide Wolff Jazz Institute & Art Gallery on campus. The institute is located in Room 003 on the ground floor of the Dr. Henry Givens Jr. Administration Building. Since its inception, the Don and Heide Wolff Jazz Institute & Art Gallery has grown tremendously. It is currently equipped with a computer lab, wonderful pieces of art, various genres of music, listening stations, technology equipment, beautifully framed photos and musical instruments. To enhance the listening experience, there is also a television monitor, record/CD players, jazz books, and journals. The institute is comfortable, inviting and, to say the least, remarkable. The Institute is proud to offer a variety of music, which includes: jazz, popular, rock, big band, orchestra, opera, folk, soul, blues, Broadway musicals, classical, country, gospel, ragtime and rhythm and blues. In addition, it features speeches, comedy CDs, piano recordings, radio programs and motion picture soundtracks. Our collection contains the well-known music of Louis Armstrong, Dizzie Gillespie, Sarah Vaughn, Billy Eckstein, Billie Holiday, Lena Horne, Benny Goodman, Willie Mae “Big Mama” Thornton, Clark Terry, Ray Charles, Charlie “Birdman” Parker, Duke Ellington, Thelonius Monk and Glenn Miller, just to name a few. We are excited about the collection, and everyone is more than welcome to visit with us to see, listen and relax in the Don and Heide Wolff Jazz Institute & Art Gallery at Harris-Stowe State University. 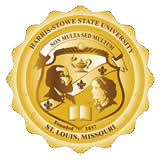 If you would like to donate your record collection, please feel free to contact the institute at Harris-Stowe for more information at (314) 340-5773 or by email at HayesB@hssu.edu.